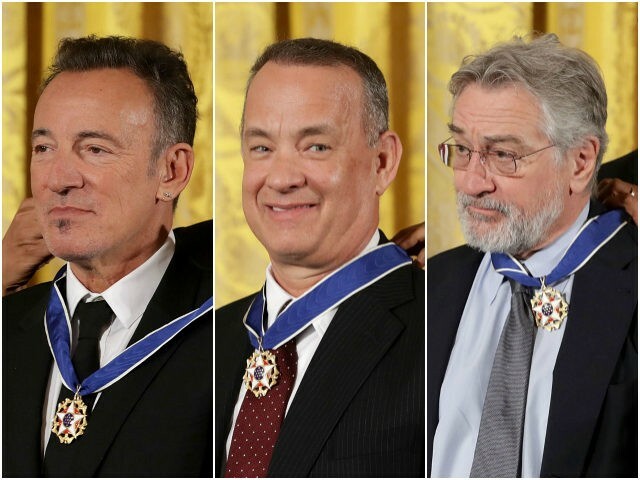 Nearly two-dozen movie stars, musicians, sports icons and tech titans visited the White House Tuesday to receive the Presidential Medal of Freedom, the United States’ highest civilian honor, from President Obama in a star-studded ceremony. Actors Robert De Niro, Tom Hanks and Robert Redford, rocker Bruce Springsteen, NBA legends Michael Jordan and Kareem Abdul-Jabbar and TV talk show host Ellen DeGeneres were among the 21 public figures awarded the prestigious honor Tuesday, in what was the final Medal of Freedom ceremony of Obama’s presidency. 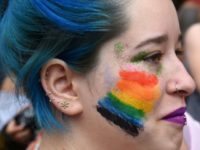 “Today we celebrate extraordinary Americans who have lifted our spirits, strengthened our union, pushed us towards progress,” Obama said at the beginning of Tuesday’s event at the White House. “This is a particularly impressive class. We’ve got innovators and artists, public servants, rabble rousers, athletes, renowned character actors, like the guy from Space Jam,” the president joked, referring to Michael Jordan’s role in the 1996 animated film. Other stars in attendance at Tuesday’s ceremony were Saturday Night Live showrunner Lorne Michaels, renowned architect Frank Gehry, tech titans and philanthropists Bill and Melinda Gates, singer Diana Ross, Los Angeles Dodgers announcer Vin Scully and actress Cicely Tyson. Also awarded were physicist Richard Garwin, sculpture artist Maya Lin, attorney Newton Minow, NASA mathematician and computer scientist Margaret H. Hamilton, Miami Dade College president Eduardo Padrón, the late computer science pioneer Grace Hopper and the late Native American activist Elouise Cobell. Look what I got everyone to do. Thank you @RitaWilson #Ellen! I'm in the pink dress laughing with Rita! It’s the #MannequinChallenge, Presidential Medal of Freedom Edition at the @WhiteHouse!! Starring #RobertDeNiro, @RitaWilson, @TheEllenShow, @KareemAbdulJabbar_33, @TomHanks, #BillGates, #MichaelJordan, @FrankGehry, my mama #DianaRoss, and more! Watch the video of the complete ceremony above.